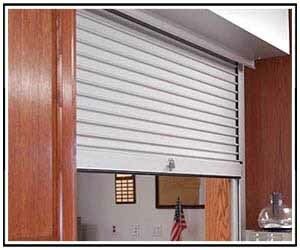 The commercial counter shutters provided by Overhead Garage Door, LLC offer many of the similar features of the rolling service doors while providing a more compact design structure. 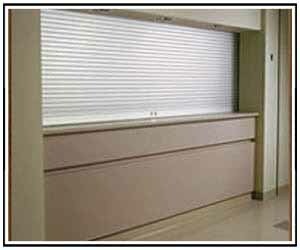 Counter shutters also lend many appealing solutions for reduced overhead clearances and smaller openings. The commercial rolling counter doors we provide at Overhead Garage Door, LLC are ideal solutions for commercial door applications including retail businesses, restaurants and concession stands, professional service environments, corporate establishments and much more. The C.H.I. and Wayne Dalton commercial rolling shutter doors provide remarkable security with a customizable aesthetic appeal for the many diverse businesses throughout North Texas. Built from durable materials, the rolling counter shutters from Wayne Dalton offer stylish, high performance features to meet the needs of many industries. With its counterbalance assembly that utilizes a spring barrel design that encases the mechanism and provides an axis around the curtain coils. The torsion-type counter-balance springs are oil-tempered and wound from steel to provide accuracy to balance the door. 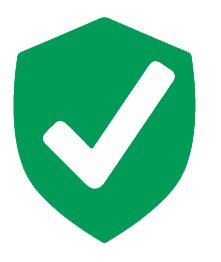 They offer a variety of operational choices based on the use and application needs as well as many attractive options for customized style and appearance. * for larger openings, please consult the factory. 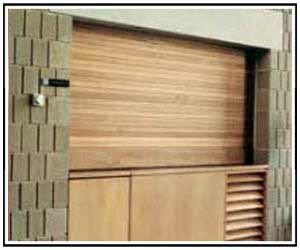 The counter shutter 650 series roll-up doors from C.H.I are the leader in security, flexibility and appeal. With their exclusive joint design, they produce a flush curtain to achieve a smooth, seamless and clean look with every use. Commercial counter shutter door users get the benefits of the state-of-the-art design, fit and finish with the simplistic and practical uses that the doors represent.